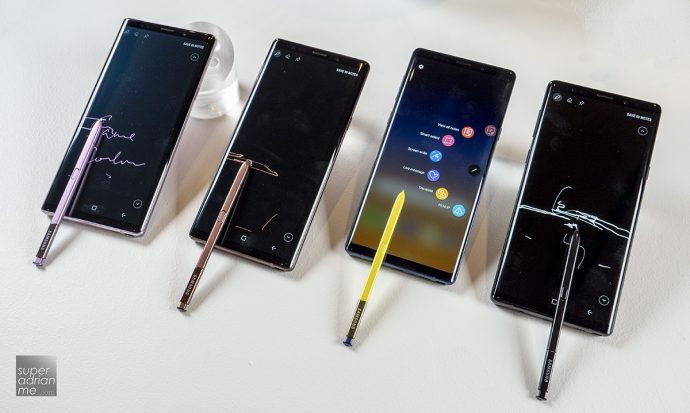 If you have been a loyalist of the Samsung Galaxy Note series stylus, also known as the S Pen, there is more to look out for this year with the launch of the Galaxy Note9. Every day features made smarter with Artificial Intelligence (AI) and practical innovations have been added such as the S Pen remote. This phablet device is now more appealing to loyal followers and also new customers that appreciate a well-built smartphone that they can rely on. Samsung Galaxy Note9 will be available from 24 August 2018 in select markets. 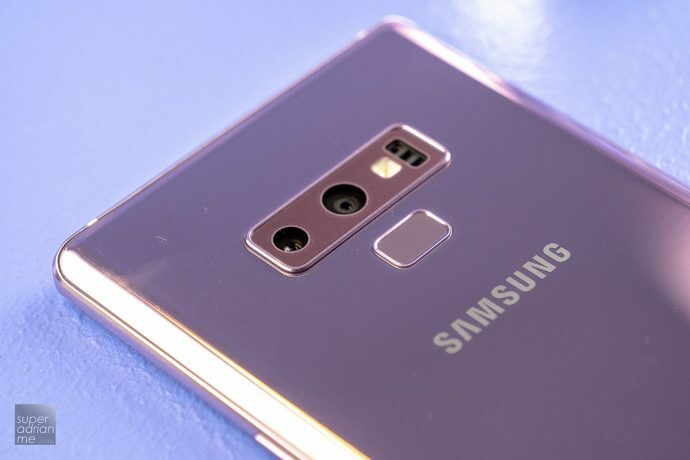 The Note 9 will be offered in Midnight Black, Lavender Purple, Metallic Copper with matching S Pen, and Ocean Blue with a Yellow S Pen. Which colour would you pick? 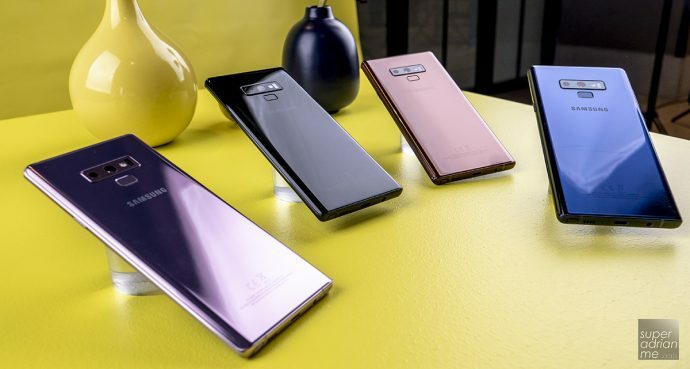 To make sure that Galaxy Note9 is a smartphone that you can rely on, Samsung has added the following hardware upgrades and features to ensure smooth performance for your daily usage. Upgrade in SPEED & POWER – Samsung developed a new Water Carbon Cooling system and on-device AI-based performance adjusting algorithm to deliver a powerful yet stable performance. The Galaxy Note9 is equipped with high performance 10nm Octa-core processor (either Exynos 9810 or Snapdragon 845) and it is able to support the fastest network speeds available in the market with GiGA LTE (up to 1.2 gigabits per second) to stream and download without slowing down. There’s ROOM for MORE – The models will be available in 128GB with 6GB RAM and 512GB with 8GB RAM and can have up to 1TB of storage when you insert an additional 512GB micro SD card into the smartphone. With more internal storage, now you will spend less time deleting your stuff 1to make space for new contents on your smartphone. All Day Battery – At 4,000mAh, the Galaxy Note9 will have the largest battery capacity ever on a flagship Galaxy phone for long-lasting power to use all-day to talk, text, play games and watch movies from morning to night. Note9 at WORK – Galaxy Note9 can power a virtualised desktop with Samsung DeX by hooking up it directly to a monitor or projector via an easy-to-carry HDMI adapter. The phone can still serve as a fully-functional second screen. So now you can take notes with the S Pen while doing a presentation on Samsung DeX, or use Galaxy Note9 as a trackpad, to right-click, drag and drop, and use multiple windows on a monitor. Time to leave your laptop at home. In 2011, the S Pen started as a more convenient way to take notes and drawing on your smartphone. The S Pen has evolved over the years to provide the best experience and intuitive features when using the Galaxy Note smartphones. Now with Bluetooth Low-Energy (BLE) support, the new S Pen can double up as a remote for you to take selfies, present slides, pause and play video, and more. Developers will also be able to integrate the S Pen’s new, advanced BLE functionalities into their apps later this year. When the S Pen’s battery is low, all you need is 40 seconds of charging to get it up and running to 30 minutes of usage or 200 clicks actions. So now all you need is a long press on the S Pen clicker, your Note9 will activate the camera and you can switch between the rear or front camera with a double click and snap a picture with a single click. That’s pretty neat. RIGHT? Easier with AI Photography – Samsung’s new Scene Optimiser uses artificial intelligence to identify the elements in a composition and automatically apply one of the 20 scenes presets to instantly optimise the picture results with the best settings. Now you do not need to be a pro to take stunning pictures. It’s Watching You – Samsung has also upgraded the Flaw Detection feature that notifies you when there’s something wrong in the final shot. An immediate notification will appear when the image is blurry, the subject blinked, there is a smudge on the lens, or there’s backlight impacting the quality of the image. Getting Better In Low Light – The Dual Aperture lens adjusts to light just like the human eye is not enough. 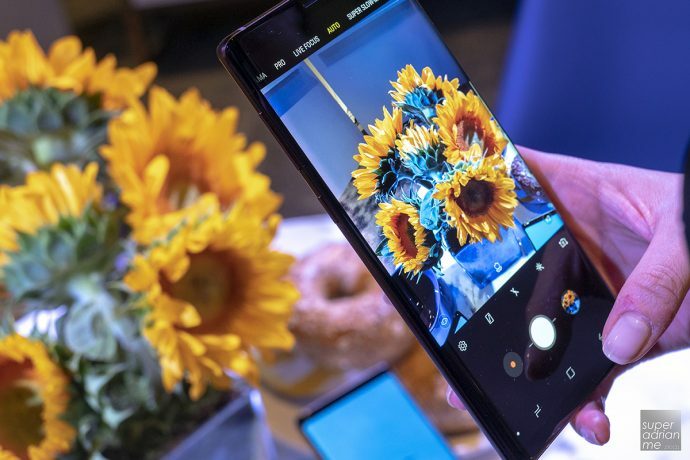 Samsung had also upgraded the software to take better and more natural HDR and Live Focus shot in low lighting for the best shots wherever you go. The Samsung Galaxy Note series smartphone has always been known as a serious smartphone for working adults. 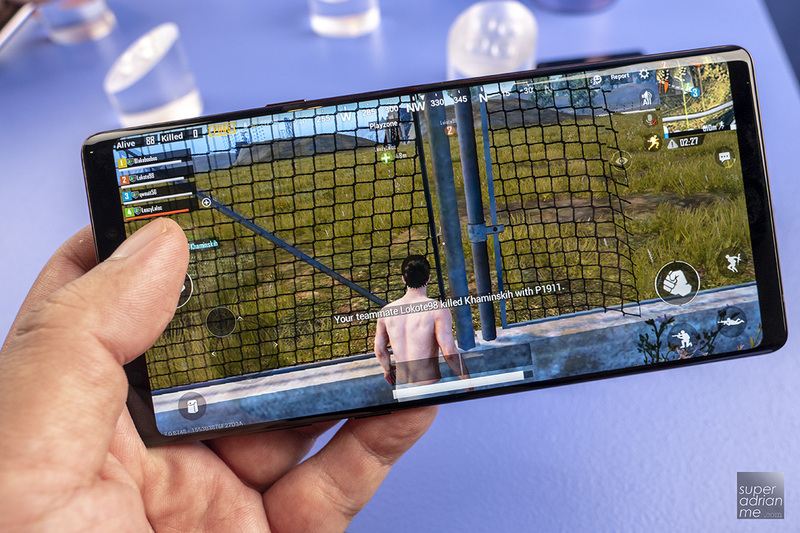 So for the best entertainment experience on this gorgeous 6.4″ edge-to-edge Infinity display, it is now complemented with Dolby Atmos stereo speakers tuned by AKG for an immersive gaming and video experience on the Note9. 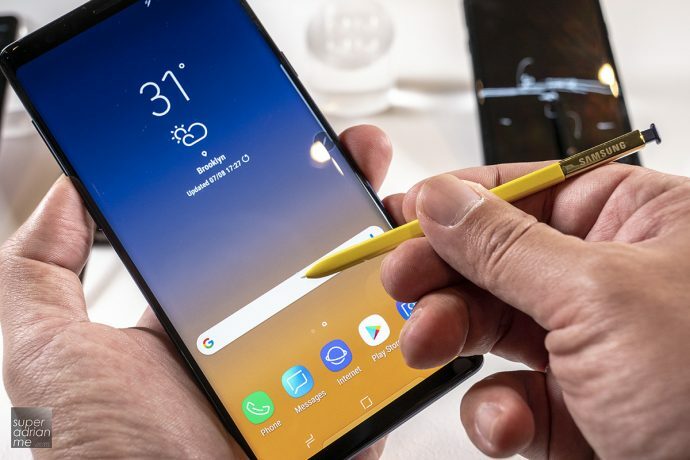 YouTube named the Galaxy Note9 as a Signature Device which is able to deliver a best-in-class YouTube experience. Many are expecting a refresh on design for the new Samsung Galaxy Note9, but I do like that classy and chic look of the Samsung premium flagship smartphones which differentiate itself from the competition in the market. 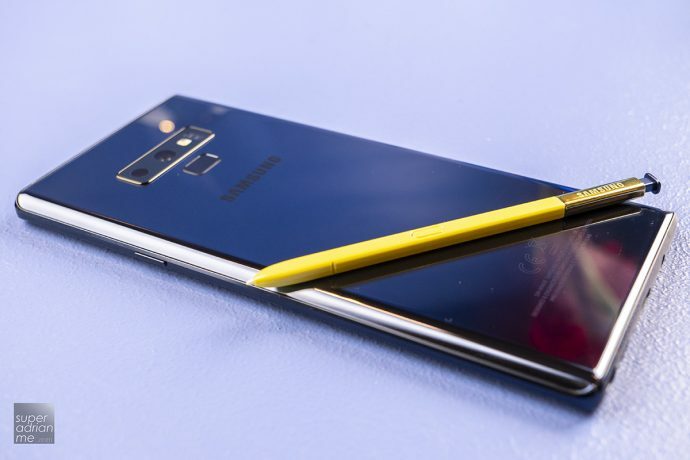 I do like the bold look on the Ocean Blue Note9 with the Yellow S Pen. At least now you can be a little less serious and express yourself with this executive style smartphone.